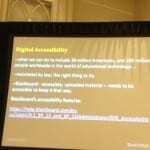 The focus on reimagining education to fit broader cohorts – reshaping itself for students rather than students reshaping themselves to fit traditional offerings – is making tangible differences to approaches to virtual learning and a number of presentations at BbWorld15 included digital accessibility. The sessions were well attended and offered pragmatic frameworks where the rationale for changing practice was a given. Sessions had less emphasis on the ‘why’ and more about the ‘how’. It’s like the reality of widening participation to an eclectic student base, including people with varying disabilities and impairments, is accepted almost without question. Of particular note was the high profile given to veterans returning to education. Diversity was not openly questioned. 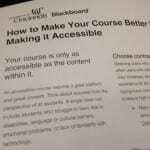 Instead I found a genuine interest in how to ensure inclusive practice with online learning resources. Henrietta Spiegel offered steps to make Word, Excel, PowerPoint and PDF formats accessible and included useful examples of the rubbish generated by YouTube’s automatic captioning system. Come on Blackboard. Invest in voice recognition software and you’ll be onto a winner. Marlene Zentz, from the University of Montana, had student Aaron Page demonstrating Jaws screen reading software. Thanks Aaron. For anyone not understanding the value of technology for visual impairment, you may have taken them over the learning threshold with your real life examples of what happens if Heading Styles and meaningful text links are not used. It isn’t technically difficult. It just means use Heading Style 1,2,3 etc in MS Word and avoid the words ‘click here’ in a URL. No pictures unfortunately. I’m hoping all the presentation slides will soon be available online. David Rathburn from the University of Cincinnati was a allocated a 5.15 slot but it was still well attended. This was the only session I saw which provided a handout – a useful reminder of how helpful this when information and experience overload in developing! I nearly cheered out loud (but I’m British) to see the quote from Tim Berners Lee on how the ambitions of the early internet pioneers was to create a digital democracy. Sad therefore that nearly 30 years on, digital divides are wider and more invisible than ever before. However, if digital educators can ‘get it’ then the future is is potentially a more inclusive one. 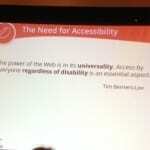 For me, accessibility sessions like these are inspiring. Digital inclusion is not difficult, it just needs a shift in alignment from assuming everyone operates in digital environments in the same ways you and your immediate colleagues do and a more critical ‘think before you link’ approach when uploading content to VLEs. A Poll carried out within one session – image on the right below – also reaffirmed the on campus digital divides I’m looking to narrow and bridge with my research showing an almost nil representation at the conference from academics/faculty. A multimedia explosion has been created from the affordances of user generated content, the shift of media production from professional to amateur and from fixed studio to mobile (and personal) devices. 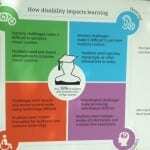 Blended delivery and flipped learning are all creating pressure for more interactive resources. 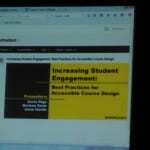 A starting point is to raise awareness of OER content and efficient ways of embedding multimedia into Blackboard sites. The next step is to look at creating our own. You don’t need to be a professional – content can be ‘good enough’ to still be effective. 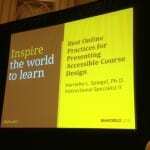 It’s the learning design rather than technical expertise which makes the difference. Part of the problem is the need to rethink the traditional boundaries between ‘technology training’ and ‘teacher education’. This was the subject of my presentation and there is more information on this in #Bbworld15 Part Four. 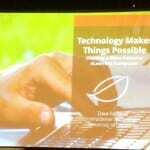 Technology is a great change-agent. Over the past two decades internet access has influenced teaching and learning, some would say disrupted it, by challenging traditional pedagogical patterns and relationships. Students can be directed to information sources rather than their teachers being that source, offering the potential for more autonomous learning. Traditional text and images are being supplemented or replaced by audio and video while investments continue to be made to educational technology infrastructures. Yet evidence of impact on learning itself remains scarce. Now there’s a new kid on the block. Apps for supporting education. Jisc is taking a lead on promoting mobile and linking it to inclusive practice. At a time when institutions are needing to consider their duty to make reasonable adjustments, in particular with regard to the provision of teaching and learning resources due to proposed changes to the DSA, JISC are suggesting APP-Awareness might help. For Apps to work, the content they’re working with has to be inclusive. This means barriers to App-access have to be identified and removed. To be App-aware is to consider accessibility and take it seriously. Apps might even be the way to reconsider the whole issue of access and digital divides. So I’d say Go JISC. Go Mobile. Let’s all get Appy. The IDER (Inclusive Digital Educational Resources) Working Group meets again this week. It’s time to think about making recommendations. The process will be helped by recent agreement on the Blackboard Required Standards which include Accessibility but what will this look like in practice? There is also the problem of web resources which are not downloadable. I have a problem with grey text on a white background. It seems increasingly popular and I’m not sure why. The British Dyslexia Association’s advises us to use dark on light e.g. ‘Use dark coloured text on a light (not white) background’ and ‘Most users prefer dark print on a pale background.’ AbilityNet say ‘If using a light-coloured type, make sure the background colour is dark enough to provide sufficient contrast.’ BDA also say ‘Avoid white backgrounds …White can appear too dazzling.’ Yet B/W is ok for me. I can tone it down using the screen brightness. It’s grey on white which is the problem. This reinforces how there’s no one size fits all solution. One answer may be to raise awareness of the diversity of ways users might want to access digital resources and support that diversity with inclusive practice guidelines while also promoting how to change browser settings. I’m not a huge fan of the DIY approach. 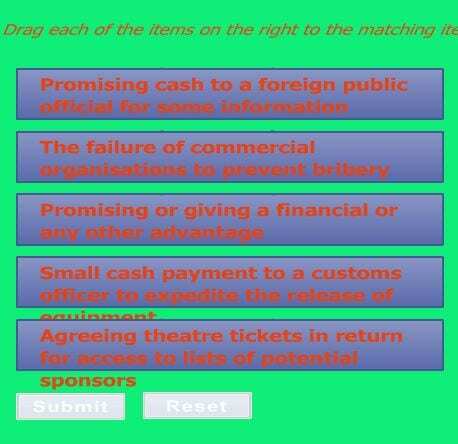 The image below shows some of the steps needed to change text colour . There are multiple windows requiring local knowledge, for example how do you know if you need the Colours, Font or Accessibility button on the Internet Options menu and once you’ve made the change for one website, it can create inappropriate changes for others.? Accessibility is no longer backstage but now waiting in the wings. 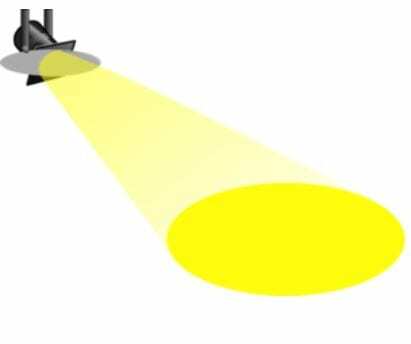 It can’t be long before inclusive practice steps centre stage under the spotlight. The DSA is changing and the government says it expects higher education institutions to cover additional costs through their duty to make reasonable adjustments. These are interesting times. The soapbox is out from the corner, getting dusted down, ready for action. No cases have reached court in the UK. When the RNIB served BMIBaby with legal papers in 2010 for failing to ensure its website could be used by blind and partially sighted users they settled out of court. It’s hard to find any mention on the internet of the time Tesco took down its accessible website overnight, excluding those were homebound and dependent on shopping online. The general view is a successful court case is required to set the precedent. Until then it’s business as inaccessibly usual. But the situation might be turning. There is renewed interest in the provision of digital information. The proposed changes to the DSA offers opportunities to revisit the arguments for inclusive practice. It may be enforced compliance with the law rather than being adopted voluntarily but sometimes the means is worth the ends and digital inclusion is worth it – isn’t it? Don’t talk to me about transcripts, I’m a habitual being. Changes to the DSA puts pressure on institutions to make reasonable adjustments to how they deliver information to students. In particular…through different ways of delivering courses and information. The principle of reasonable adjustment is a duty under the Equality Act. The duty is anticipatory. Institutions should adopt a proactive approach by reviewing their practices – but where to begin? The language of the statements is revealing. In the first document of 760 words there were 4 mentions of disabled students plus 2 in the title and strapine. In the second document, 695 words contain 19 mentions of disabled students plus 2 in the title and strapline and 1 of disabled people. Neither statement uses the words accessibility or inclusion. Yet these exist perfectly well in isolation from the word disabled. We all appreciate access. No one likes to be excluded. 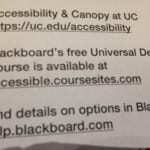 I’ve long wanted to see Lincoln be a fully accessible digital university – but where to begin. 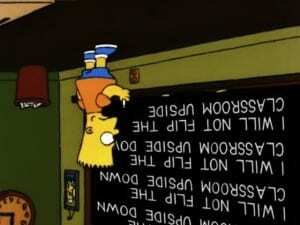 Last month I blogged on the flipped classroom and suggested flipping might be the new e-learning for 21st century. Flipping is about developing lecture by video or podcast, either DIY or from existing OER. Educause say ‘… the ease with which video can be accessed and viewed today has made it so ubiquitous that the flipped model has come to be identified with it.’ This is the reincarnation of early promises of e-learning to enhance – if not transform – the student experience. Digital educational resources are the virtual equivalent of ramps into public buildings, created for wheelchair users but appreciated by pushers of prams, buggies, shopping trolleys and all. Having content recorded for replay and revision rather than a once-only experience clearly has value for everyone. The principle of universal design is inclusiveness. The problem is social and cultural acceptance of the need to change practice; in particular where it’s associated with disability because of a mindset which sees inclusive digital design as the responsibility of someone else. To be human is to be habitual. We like routines. We’re busy. We don’t have time to create captions, subtitles, transcripts. It’s bad enough moving from text to multimedia in the first place without having to mess about with alternative formats as well. DSA changes; Oh Mr Willetts, what have you done? In April Mr Willetts announced on changes to the Disabled Students Allowance. Claiming these will ‘modernise’ the system, he calls HEIs to pay ‘…greater consideration to the delivery of their courses and how to provide support’ which should include ‘…different ways of delivering courses and information.’ The definition of disability in the Equality Act 2010 will be the new guideline for access to DSA. This states you are only ‘disabled’ if you have a physical or mental impairment that has a ‘substantial’ and ‘long-term’ negative effect on your ability to do normal daily activities. At the present time, DSA is awarded to a broad list of criteria including students diagnosed with dyslexia. Support for these students is being withdrawn. Reasons cited include ‘technological advances’ and ‘increases in use of technology’. Clever technology! What Mr Willets is describing is inclusive practice. Taking advantage of the flexibility of digital information to be customised to suit user preference i.e. adjusting font shape and size, altering colour contrasts, listening to content read out loud and providing transcripts or textual alternatives to all forms of multi media. Institutions are being asked to ‘…play their role in supporting students with mild difficulties, as part of their duties to provide reasonable adjustments under the Equality Act.’ In other words. 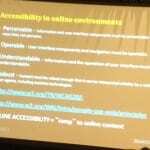 taking personal responsibility for providing accessible content. If it were as easy as that Mr Willets, it would already be happening. Back in 1997, Berners Lee and Daniel Dardailler, internet and www pioneers, had altruistic aims for information democracy. These two quotes are important. We need reminding lest we forget. In principle, I understand what Mr Willetts is saying but I doubt we are coming from the same place. I’ve tried to raise awareness of digital inclusion for some time. In practice I believe attitudes like these risk knee-jerk and exclusive reactions. Like lecture capture; sticking a 50 minute recording of a lecture online without content being made available in alternative formats. Digital engagement mirrors ourselves as individuals. 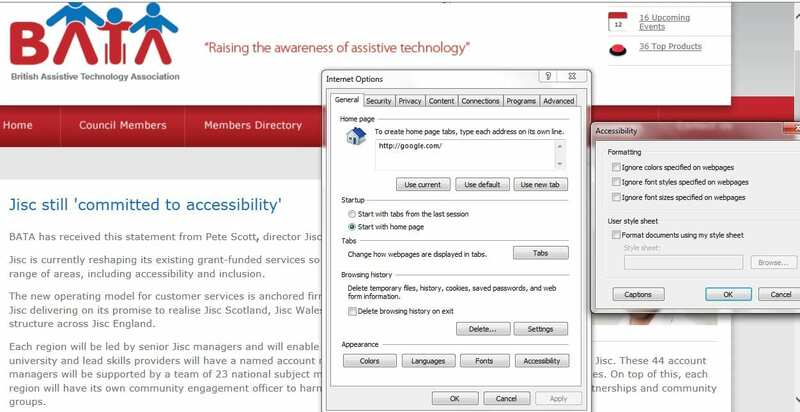 The provision of accessible online resources involves changing behaviours from unintentionally exclusive to inclusive when the affordances of technology are managed by individuals who all interact with it in different ways. The process of developing digital literacies is complex in particular when it comes to inclusive practice. History shows how the principle of ‘reasonable adjustments’ is often seen as the responsibility of someone else. It isn’t going to be as simple as it sounds in this statement. Barriers to a higher education just multiplied and the principles of widening participation diluted. Oh Mr Willetts, what have you done? Yet another government digital inclusion strategy… yawn! It’s been a while since I blogged about digital inclusion. In the meantime the Government Digital Service team have produced a checklist stating ‘if we do these things, we’re doing digital inclusion’. Looks like they’re starting out all over again. Excuse me while I yawn. Honestly we’ve been here before and nothing – yet – has changed. It’s January 2014. All that’s happened since the Digital Britain report is the internet has become more inaccessible, assistive technology more expensive and digital exclusion increasingly invisible and silenced. The GDS checklist appears positive and realistic. I have genuine hope this may signify change. Already there are signs this new (and yet another) digital inclusion initiative will fall apart. In 2009 the Consumer Expert Group reported on the Use of the Internet by disabled people: barriers and solutions. The research is out there. It isn’t rocket science. If you are already socially and economically excluded you are likely to be digitally excluded as well. The checklist recognises this but so did the Labour government a decade ago. 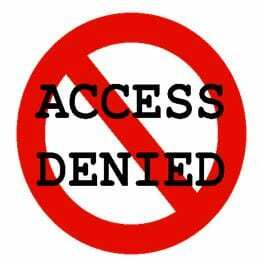 What is less well publicised is the two-way nature of digital access. It’s as much about the inclusive design and development of the internet as it is about the individual hardware and software required to get online in the first place. I can see a situation like the processed food industry which continues to produce low cost high sugar/fat/additive junk while the government makes comments about individual responsibility to make healthy choices – as if it were that easy. Equality of internet access? Just be more responsible about the sites you choose – go for the ones with inclusive design – they’re better for you. Tim Berners Lee dreamed about democracy of access. ‘The power of the Web is in its universality. Access by everyone regardless of disability is an essential aspect.’ * Before Microsoft Windows came along there was a distinct chance this might have happened but progress has gone backwards ever since. Whether this latest initiative will make any difference remains to be seen. Somehow – sadly – I doubt it. Diversity is what makes the world go round. Or at least it should. Experiments of conformity must fail. Equality of opportunity is the fairest system; not being squeezed into narrow behaviour ranges or receiving privilege simply because you belong to a dominant group. One of the largest ever examples of discrimination is being created by the shift to digital practices and lifestyles. The design and delivery of online content increasingly privileges a narrow range of access criteria – the MEE Model – based on the assumption all users operate with a mouse, eyes and ears. This fails to reflect the diversity of ways people do use computers and access the internet but it is successfully excluding those who rely on assistive technology or non-standard methods. I’ve been reflecting on increasingly exclusive web design and contemplating the failure of guidance from the WAI and Equality legislation; asking the question what lies at the root of exclusive digital practice? I’m coming to the conclusion its more to do with psychology than technology. We look for the quickest option, the easiest route, familiar ways of working. But as the social shift to digital ICT continues, so does the need to raise awareness of what digital exclusion looks like. The new e-learning package Bribery Act and Anti Money Laundering on the HR Portal elearning page https://portal.lincoln.ac.uk/C11/C0/Online%20Training/default.aspx is an example of how commercial companies appear to be unaware of the principles of inclusive digital practice. Here are some examples. The narration starts with no warning. There are no user controls to stop, pause, restart, move backwards or forwards. The narration is only on a few slides, each time starting unexpectedly. This sequential use of audio can’t be an alternative format so it’s not clear why it’s included. The audio can be toggled on or off in the Accessibility controls but you need to open the menu to find this. The volume can also be controlled here but the option is mouse operated (no sliding scale – one click for every number between 1 and 100). There is no ‘save settings’ button. The only way out of the Accessibility menu is to close the window. Close equates Exit more than Save. Colour contrasts don’t all adapt to my choices as well as text frames not resizing. 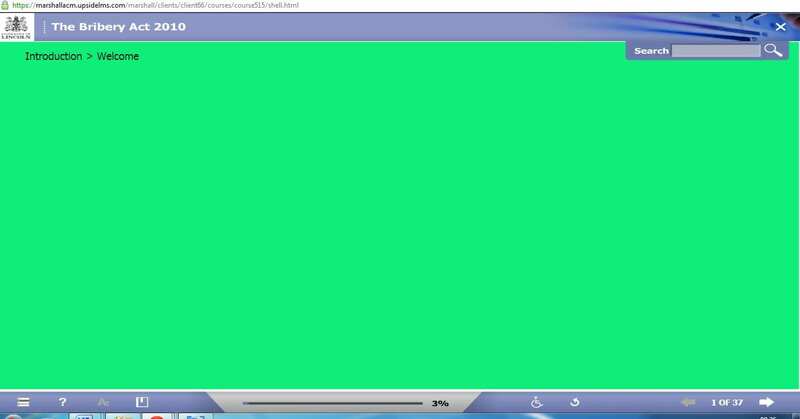 The background colour can be changed but this lost the content on certain slides offering a green screen. 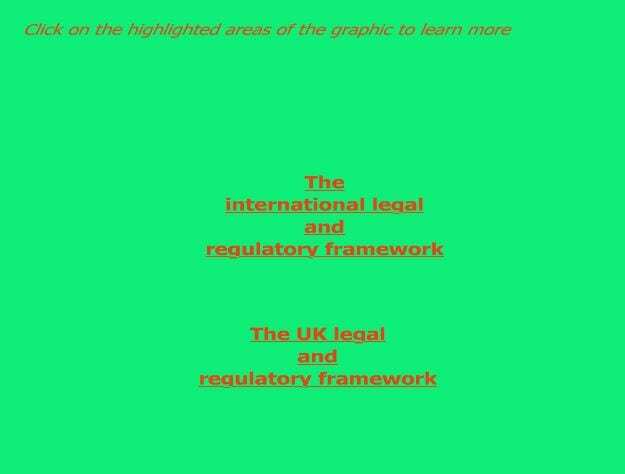 There might be a clue on slide 28 which contained images and suggests the background layer may be positioned on top of the graphic layer – only a guess but something somewhere is not right. The keyboard controls appear to be only for moving through the bottom bar buttons; not offering alternative navigation which should be standard practice. Tab and Shift highlight essential structures but moving from slide to slide in this way is slow and laborious. Shift also brings up the Contents menu which Esc doesn’t close – only a mouse click will do. These keyboard alternatives are unrealistic for navigation. There is no information about how to access the content without a mouse. The accessibility window has an image of a wheelchair. I wonder why? 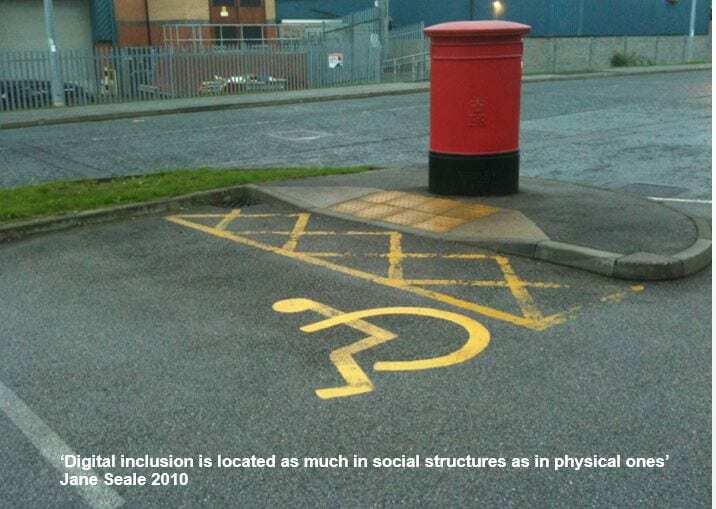 This image associates accessibility of digital content with disability and disability only with wheelchair users; neither fair nor accurate assumptions and going against the principle of inclusive practice which is achieving improved assess for all. It’s like saying transcripts are only for people with hearing difficulties – which ignores those with no speakers or headphones or who simply prefer text to audio. There are other design issues which are questionable. External links take you into a new window with no warning and closing the window returns you to the elearning menu page – rather than the last slide. Where a name is given as a source of further information, the name is hyperlinked to Outlook which assumes the user has Outlook installed; I don’t have Outlook on my home laptop – so without any details such as an email address or phone number there is no way of contacting the person. The use of transitions to load pictures is reminiscent of death by PowerPoint. 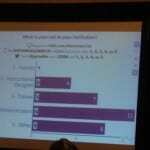 Slide 7 has an spelling mistake in the answer window. This suggests not only was the resource not piloted for alternative usage outside the dominant MEE model (Mouse, Eyes and Ears) it also hasn’t been proofed for errors. I’m not responsible for this resource but it’s indicative of how inclusive practice with digital data is a dying art. I wonder if anyone else caring about equality of digital opportunities is also contemplating failure.